The Volt Concealed Thermostatic Triple Shower Valve with Diverter from Ultra - Volt shower valve provides the ultimate in minimalist design with its contemporary handle design, offers a flexible shower solution with a neat finish and is suitable for use with all water systems. Pipework is concealed for a clean look. Features easy to operate controls, the top control diverts between two shower accessories, the centre control adjusts the temperature and the bottom control operates a shower accessory. 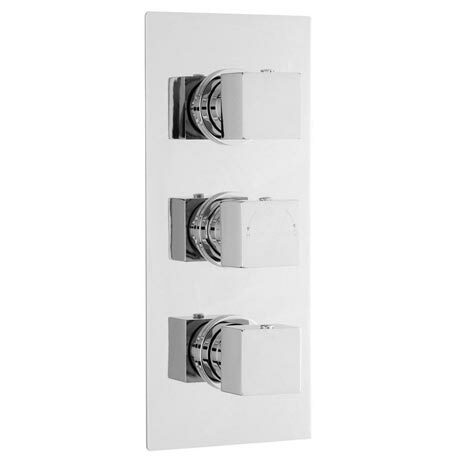 Operates three shower accessories, you can choose to run them separately or run two at the same time. In the event of hot or cold water failure the valve will shut down as per the relevant standard.